Happy Monday all! Today started off as an icy one as we had ice rain all day yesterday into this morning... I'm sure the commute to work should be wonderful... 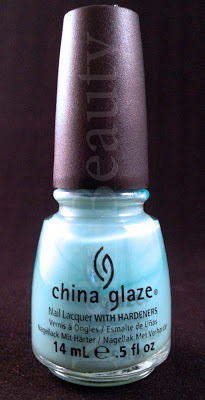 But to put my brain in to a happy place I opted to go for a springy color and one of my all time favorite polishes I own, China Glaze's For Audrey! It's one of the my wedding colors and was inspired by one of my favorite people that one graced this planet, Audrey Hepburn! Truly an inspirational woman! For Audrey is an amazing cream sea-foam green / blue made to look like the iconic Tiffany & Company blue box that every girl dreams of getting! The polish is nice and opaque but you have to be careful applying your second coat. If you apply it to soon it tends to move your first coat giving you patchy looking nails. Other than that I don't have a complaint, in fact I absolutely adore this color! Like the new look for the swatches? 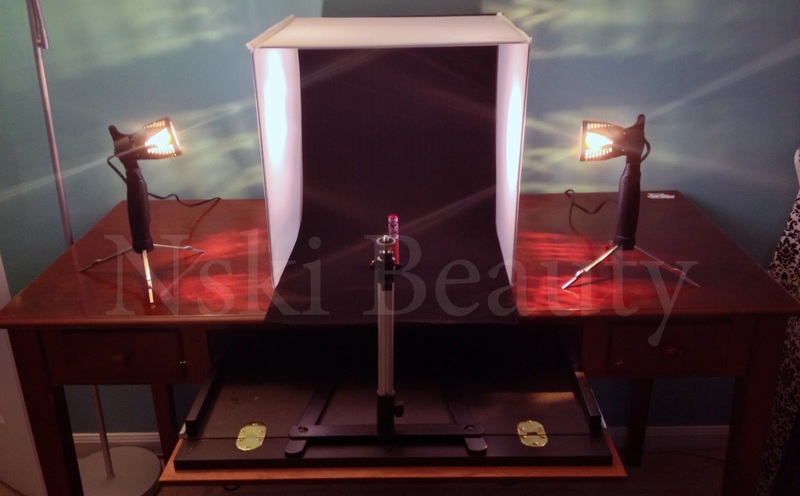 I picked up a new light studio for myself to try and take my blogging to the next level and give you guys better quality images! It's still a work in progress as I learn how to work everything but so far I am quite thrilled with myself! If you have any suggestions on lighting or anything with working on a light studio I'd greatly appreciate input! I can't wait to start swatching and taking pics of all my products to go with their posts! It really is funny how excited I am to begin this new project to tie into my blog and Facebook page! Enjoy ladies & gents!